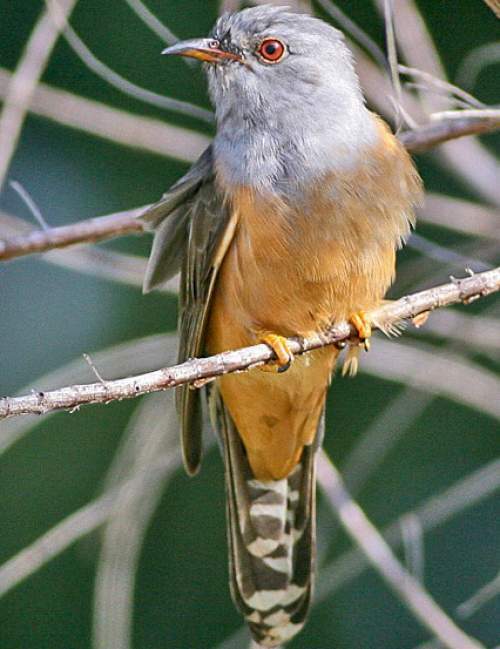 The Plaintive cuckoo (Cacomantis merulinus) belongs to the family of cuckoos, roadrunners, koels and malkohas, the Cuculidae under the order Cuculiformes. 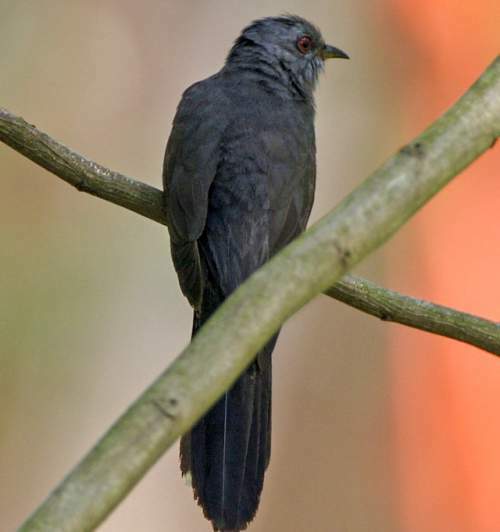 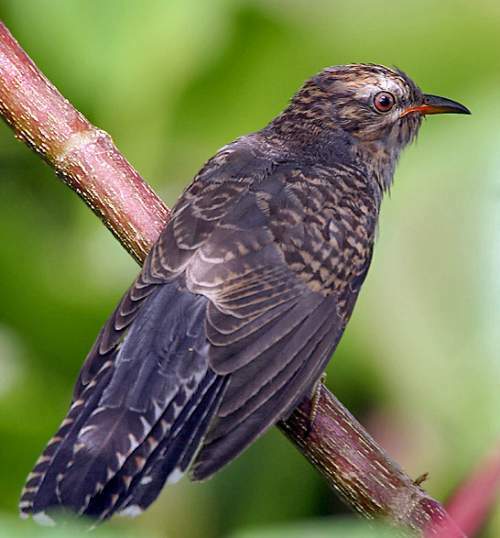 The family Cuculidae comprises six subfamilies, including Cuculinae (brood-parasitic cuckoos). 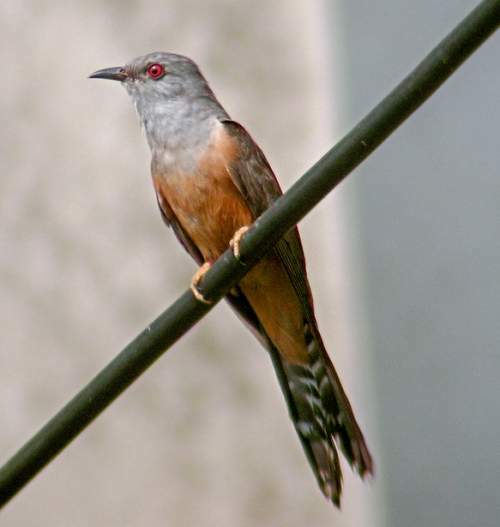 The subfamily Cuculinae comprises twelve extant genera, including Cacomantis (barred-tail cuckoos). 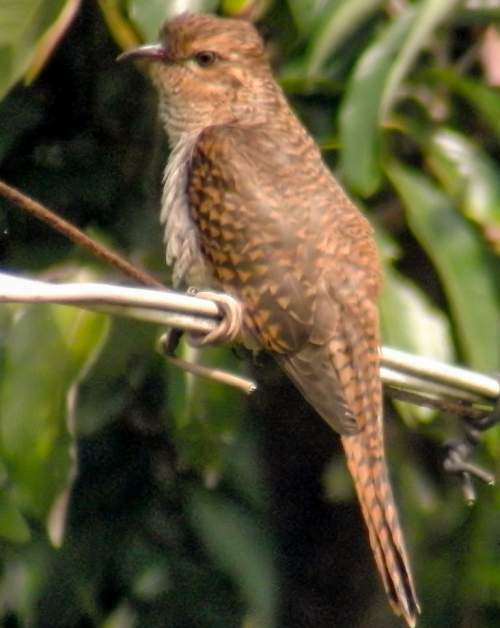 The genus Cacomantis was first described by Dr. Salomon Müller (7 April 1804 – 29 December 1864), a German naturalist, in the year 1843. 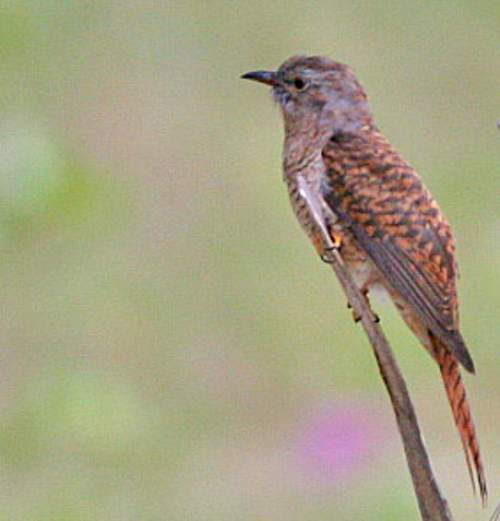 The genus Cacomantis comprises ten extant species, including Cacomantis merulinus. 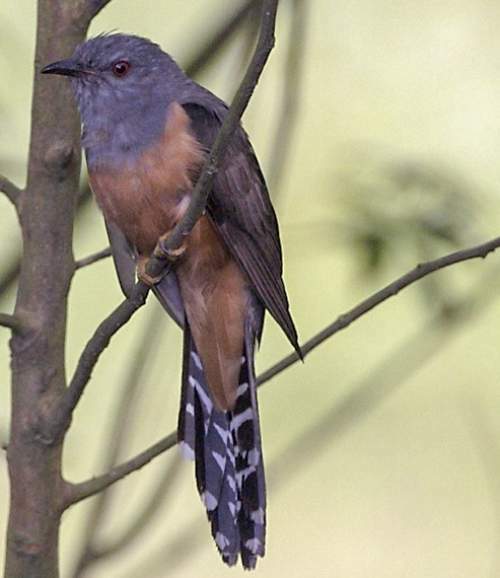 The species Cacomantis merulinus was first described by Giovanni Antonio Scopoli (3 June 1723 – 8 May 1788), an Italian physician and naturalist, in the year 1786. 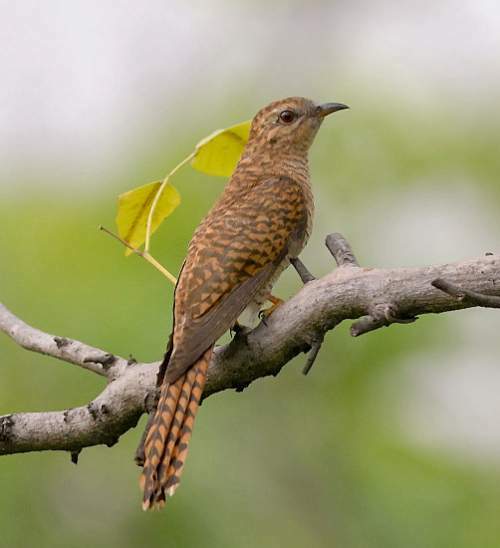 The species Cacomantis merulinus is polytypic and comprises four subspecies, viz., C. m. querulus Heine, 1863, C. m. threnodes Cabanis & Heine, 1863, C. m. lanceolatus (S. Müller, 1843) and C. m. merulinus (Scopoli, 1786). 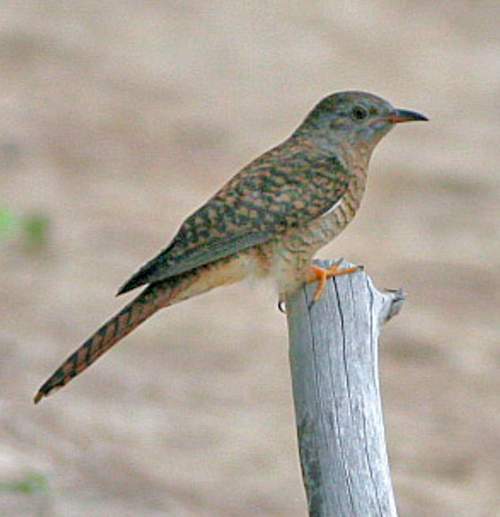 Current topic in Bird World: Plaintive cuckoo juvenile - Cacomantis merulinus images.